Fix your furniture problems through easy packing and stacking and installation of pallets! 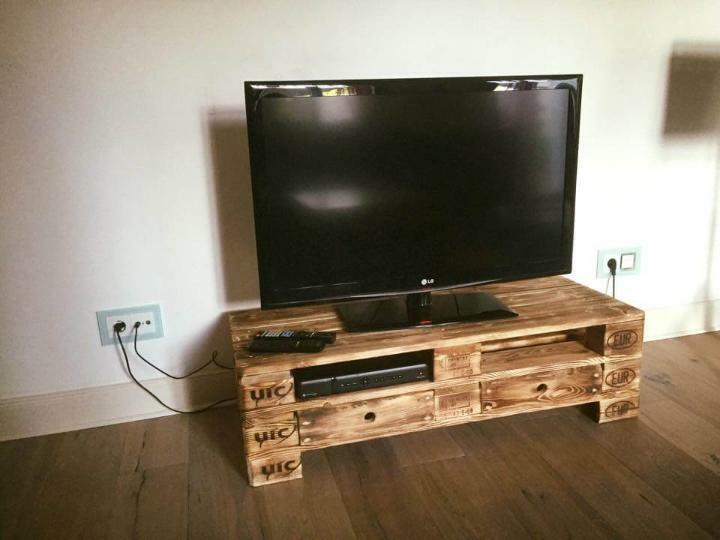 Just do a super handy and no-sweat construction with pallet and eliminate the furniture needs of your man-cave! 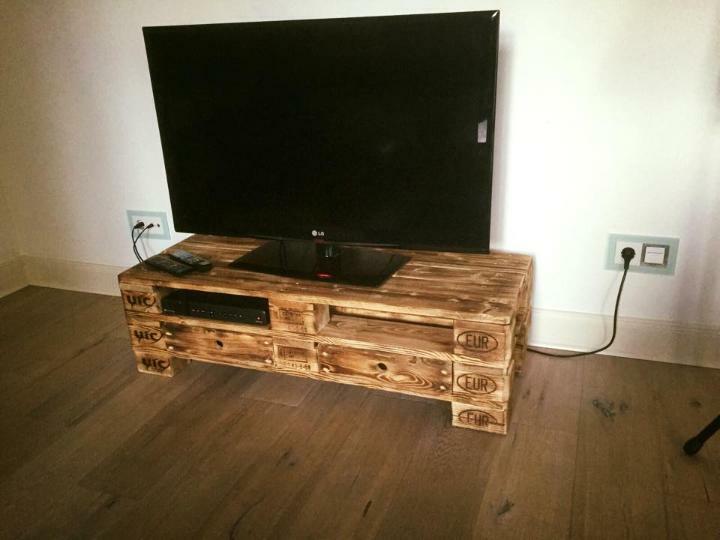 Here we are to share an insanely clever concept of pallet wood furniture that has been used to build this DIY pallet TV stand, two EPAL pallet bunk is whole responsible for this modern elegant design of media stand! There is one more creative trick to furniture with pallets, as you put the pallets on one another, you can will notice that you get the equal spacing or openings between the different levels, here those openings have been covered by fitting the according sizes of pallet-made drawers and hence the whole design gains a clever functional boost! This is what we call the most genius DIY tricks and we share them in abundance every day! Stack attached to get your daily creative dose of DIY pallet recycling ideas, explore more on our site to get your inspired of ingenious pallet uses! Have you ever thought that rustic pallet boards that are always lying around can gift your some adorable furniture items? If not, then get 2 pallets and just put them together in a bunk shape to install this beautiful media stand to display your screen! It would be better if you get some EURO pallet skids as they are sturdier and heat treated always! 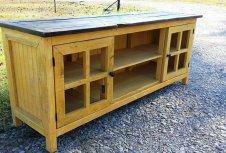 Drawers have been installed to empty spaces in pallets and hence this TV stands becomes friendly to storage! Install more pallets to get more storage options and also customize the overall appearance using amazing shades of paint, stain or get it white washed for distressed milky white look! 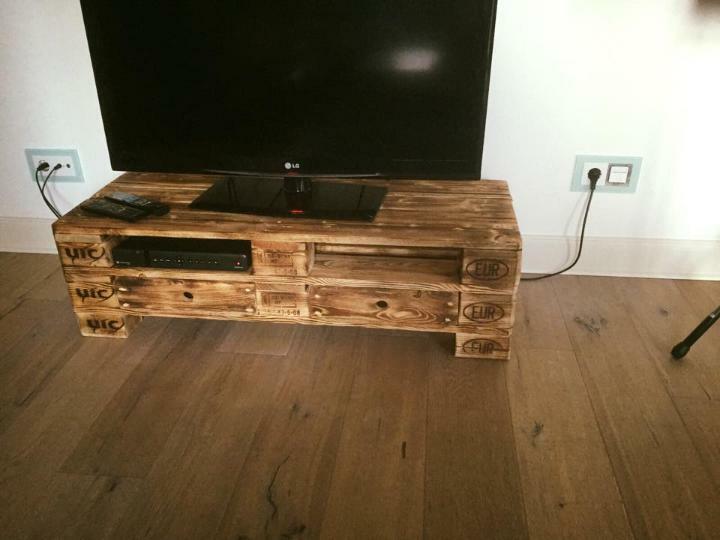 Here a vintage inspired scorched look has been created by burning the wood a little!